IMPORTANT NOTICE: YOU MUST CAREFULLY READ AND ACCEPT THE TERMS AND CONDITIONS SET OUT BELOW BEFORE ACCESSING AND USING THIS WEBSITE & APP BY USING THIS WEBSITE & APP YOU AGREE TO BE LEGALLY BOUND BY THESE CONDITIONS, WHICH TAKE EFFECT IMMEDIATELY FROM THE MOMENT YOU FIRST USE THIS WEBSITE & APP. IF YOU DO NOT WISH TO BE BOUND BY THESE TERMS AND CONDITIONS, YOU MUST NOT ACCESS OR USE THE WEBSITE & APP AND SHOULD REFRAIN FROM ACCESSING THIS WEBSITE & APP IN THE FUTURE. COMPETITION TERMS & CONDITIONS DIFFER AND VARY FOR EACH COMPETITION. BY ACCEPTING THE TERMS AND CONDITIONS YOU ARE ACCEPTING THE COMPETITION TERMS. 1 You may access most areas of this Website without registering your details with us. Certain areas of this Website may only be open to you if you register or subscribe. 23 Links to third party websites on this Website are provided solely for your convenience. If you use these links, you leave this Website. We have not reviewed all of these third-party websites and do not control and are not responsible for these websites or their content or availability. We therefore do not endorse or make any representations about them, or any material found there, or any results that may be obtained from using them. If you decide to access any of the third-party websites linked to this Website, you do so entirely at your own risk. 24 The names, images and logos identifying the Group or third parties and their products and services are subject to copyright, design rights and trademarks owned by us and/or third parties. Nothing contained in these terms shall be construed as conferring by implication, estoppels or otherwise any licence or right to use any trademark, patent, design right or copyright of the Group or any other third party. 27 You retain all copyright in any information you post on this Website. On submitting your contribution, you agree to grant to us a non-exclusive, royalty-free, transferable, worldwide licence to use, copy, adapt, modify, sublicense, transmit, distribute, publish or display your contribution or any part thereof as we see fit. 28.1 Our moderators will view all comments before appearing on this Website. Our moderators will assess the comments solely on the basis of the rules outlined in these Conditions. If they believe that the comment exceeds the boundaries outlined here, the comment will be deleted and will not appear. If a comment includes unacceptable elements, we reserve the right to delete the entire comment. The decision of our moderators is final, and no correspondence will be entered into. 28.2 We will not respond to comments posted on this Website. If you require a response, please complete the ‘contact us’ section of this Website. 28.4 We would ask that you use your name on comments wherever possible. Again, this helps to add to the mature and constructive debate on the Website. If for any reason you decide to use a pseudonym we would ask that you choose a name that is not offensive in any way and adheres to the boundaries outlined above. 29 If you enter a competition with us or one of our partners or sponsors through this Website or otherwise, then such competition will be governed by our competition rules. A copy of our principal Competition Rules appears on this Website. Additional rules specific to each competition will also apply and will appear in a Competition Notice that will be published on this Website (or such other place as shall be notified) on or before the commencement of each competition. 32 If any of these Conditions should be determined to be illegal, invalid or otherwise unenforceable by reason of law then, to the extent and within the jurisdiction in which that term or condition is found to be illegal, invalid or unenforceable, it shall be severed and deleted, and the remainder of the Conditions shall survive, remain in full force and effect, and shall continue to be binding and enforceable. If anyone objects to a photo or image of their child being used on the website, that we will gladly remove it. Photos from station events are uploaded to our websites in good faith. If you’d like to request an image to be removed from this website, please contact the webmaster. Pride World Media Unit 8&9, Parsons Court Welbury Way, Aycliffe Ind Park, Newton Aycliffe, Co. Durham, England, DL5 6ZE. 5.2 You can withdraw your consent for us to hold your details by changing your settings is your account or writing to or emailing us, including your name and full address, requesting a full removal of your details from our database. 1) Competitions are open to residents anywhere in the World unless stated otherwise. 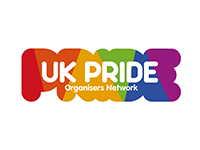 Employees or volunteers of Pride World Media Ltd, their partners, contributors, recent guests or their immediate families, agencies, or anyone else directly connected with the competition are not eligible to enter. 4) Source material utilised by our question compilers will be taken as correct. The decision of the Pride World Media judges is final, and no correspondence will be entered into. 5) Callers are not necessarily entitled to participate in the on-air competition and will not necessarily appear on-air in the order in which they are called. Pride World Media is not obliged to reimburse callers for telephone charges when either on hold or on air. 9) Entries will become the property of Pride World Media and will not be returned. 11) No liability will be accepted on the part of Pride World Media, its co-promoters or agents for any loss, illness or injury resulting directly or otherwise from participation in any competition or promotion. 12) No liability on the part of Pride World Media, its co-promoters or agents will be accepted for any action, civil or otherwise, taken against individual participants in the promotion. 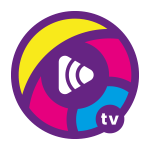 13) Entrants into the promotion have no claim whatsoever to any intellectual or other property connected to any promotion, which remains in the sole ownership of Pride World Media. 14) No promotional activity with any 3rd party, can be undertaken by any participant, before or after the promotion, without the express written consent of Pride World Media. 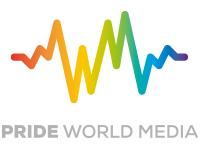 16) Entrants may be required to take part in future promotional activity exclusively for Pride World Media before/during and/or after the promotion in connection with the promotion. 17) Pride World Media reserves the right to amend these Terms and Conditions without notification. Acceptance of these Terms and Conditions also apply to any subsequent revision, whether notified or not. Cookies are small pieces of information that a website sends to your computer’s internet browser or hard drive while you are viewing a website. PWM stores a small amount of information on your computer which is used to recognise you as an individual to allow you to quickly access password restricted areas of the site or “remember” personal details allowing the swift filling out of forms etc. The PWM website store cookies for various purposes listed below. Cookies may also be set by 3rd party services which are embedded within web pages, for example Google Analytics, Facebook and Twitter, however these are out of the control of Pride World Media. club_e and club_p A user’s email and password if they tick the box to have these details saved for convenience the next time they wish to log in to the club. mySchools Identifiers for schools set as ‘My Schools’ in the School Closures tool.